After a long waiting time for visa finally we got it. This time to the beauty of Ireland. Booked the tickets in Emirates via Dubai. We had more than 9 hours of layover time in Dubai International Airport. The restroom facilities in Dubai is excellent. We slept all through the flight so that we could spend our time in sight seeing once you reach Dublin. When we landed we saw greenery all around airport. We reached the hotel, had a quick bath and headed off to the sight seeing. Started towards the city center in the bus and reached O'Connell Street. Saw the Post office Museum at the GPO from outside as it was closed. O'Connell is the main thoroughfare. Got the map from nearby travel house and we planned accordingly. It is one of the beautiful campus with historic building located at the heart of the city with the lush green ground. Spent sometimes in the garden taking some photos of birds. Then proceeded to sphere within sphere, a bronze globe. It is an art work scupltured by Italian scupture Arnaldo Pomordoro. By the time we went to Book of Kells it was closed. A park where we sat and relaxed for sometimes seizing the beauty of different colour leaves in tree. The main attraction is the statue Oscar Wilde. We saw kids playing and enjoying. Also known as Dublin bridge. It is the pedestrian bridge situated over the river Liffey. We crossed the bridge and saw the calm river. While passing through we could see more padlocks known as Love padlocks hmmm... People here also have sentimental feeling. One of the person's hat was blown away in the cool breeze. So be careful while crossing as you may lose your cap. Breathing in the fresh air. The climate is chill but it was bearable. People here say it is their summar :). So, one can imagine how the winter would be. One thing we loved here is that the days are longer than night. It is sunny even at 9 pm :). Strolling through the streets of Dublin we saw Four Courts, Vegetable market, Custom House Quay and Millennium bridge. Most of the shops here down there shutters by 8 pm and people spend most of their evening in pub. We saw a group of people chanting Hare Rama Hare Krishna with Dholak and Harmonium. Was surprised to see that all were local people. Was moved by tears by the faith and devotion the Irish people had towards Hindu religion. Later we found that Iskcon temple is nearby and it is only Hindu temple in Dublin ( or may be in Ireland?). Though, don't expect the temple to be huge like any other Iskcon temple or any other temple. It is in small house. Had the darshan on the Ekadashi day. If we take small steps of devotion towards God he comes to his simple devotees and make you realise about his presence. Below this temple, there is Govinda's vegetarian restaurant run by locals. 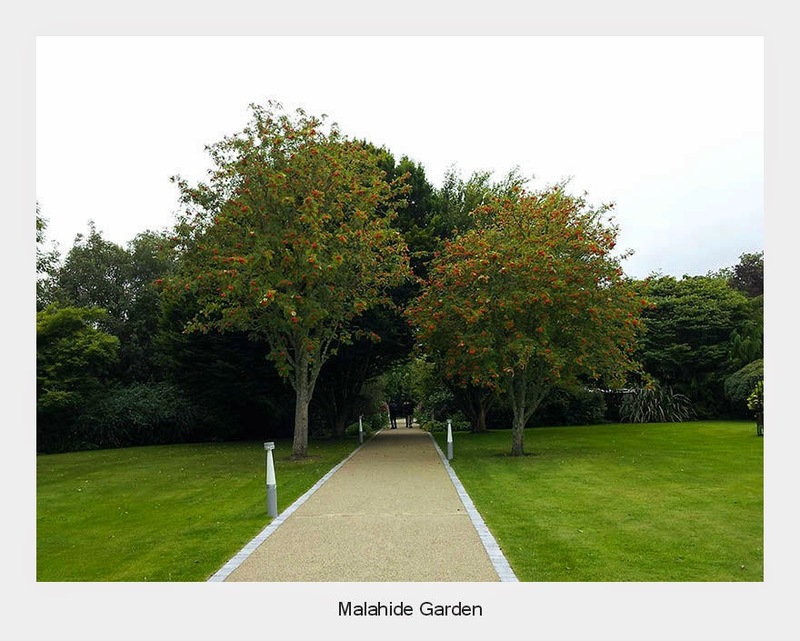 Near the Malahide village lies a beautiful Malahide castle built in 12th century. Inside the castle it gives the experience of old Talbot family. The rooms are decored with beautiful architect of Irish furniture as well as interiors. 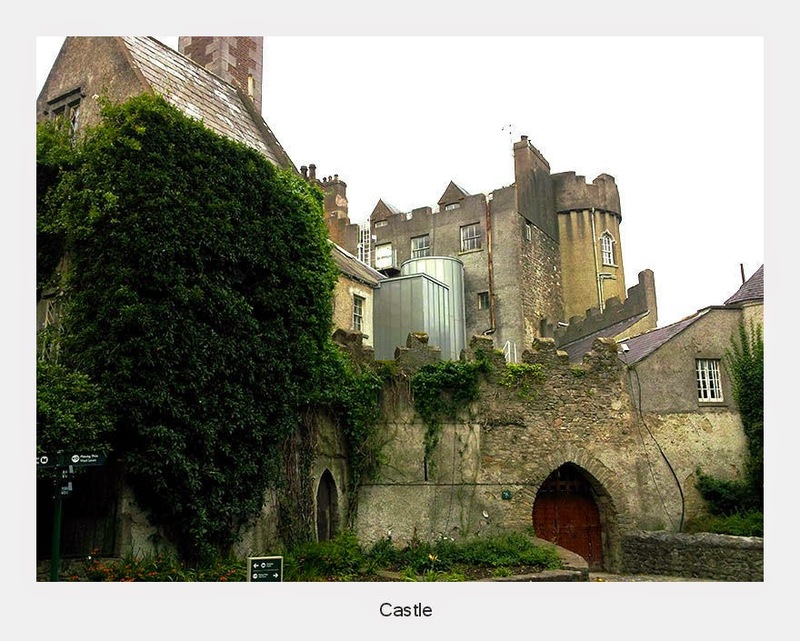 The guide will take you through the castle with beautiful tale of Talbot family. Photography is not allowed inside. Took extra time to visit the garden as the information in the map was very confusing. Please get the help from the visitors centre for the correct direction. As stated in the map we were not able to see so many varieties. Little disappointed but proceeded to our next destination.